Fiesta Football is a football tipping service from the reputable Tipstrr platform of tipsters. They began tipping back in June 2017 and have built a solid reputation in the time since. 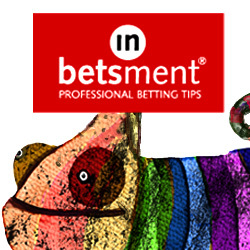 Tips come in a variety of different leagues, mainly in Europe but also in South America and Asia. Bets are primarily made up of singles and doubles, largely in the main match odds market but occasionally in the over/under markets and one or two other speciality markets. The results over the three months we followed the service were very good indeed, with 220 points profit made overall. It is worth noting that all bets are to 10 point stakes, so in effect it is the equivalent of having made 22 points profit at 1 point level stakes, which is still very good going in just three months for a football service. The results were particularly impressive when you consider that the strike rate for the trial was 59%, so over half the bets were winners. And the return on investment was pretty decent too at just over 10%. The bank grew by an impressive 73% over the course of the trial, so all in all this is one of the best football services we have trialled in some time. We have no hesitation in awarding Fiesta Football a PASSED rating given the overall performance achieved during our trial. Ease of use: The workload isn’t too bad, with around 2 to 3 bets per day on average. Tips do come in at different times of day though – some in the evening and some during the day, so you need to keep an eye out for that. Availability of prices: We didn’t have too much of a problem matching the advised prices in the big leagues, just occasionally in the lower leagues was there an issue with getting a price but by using the Asian bookies and Betfair you should be able to get the prices in the large majority of cases. Strike rate: The strike rate for the trial was 59%, which as we say is a very good level and means losing runs should be manageable when following the service, given you have a sufficient bank of course. Advised Betting Bank: No bank was advised for following the service, but we used a 300 point bank for the trial. Given the average stake was 10 points per bet and with a 59% strike rate, that seemed reasonable to us. Subscription costs: The subscription costs are very good value given the results achieved to date, at £10 per week, £19 per month or £45 per quarter. Fiesta Football has produced one of the best trials we have seen from a football tipster for some time, netting a very healthy 220 points of profit during our trial. That came with a strike rate of 59% and with a return on investment of 10%, which are very solid metrics indeed. It certainly merits a PASSED rating from us and is one we will be watching very closely in the coming weeks and months to see if this excellent form can be maintained over the long term. Fiesta Football has been on excellent form lately, adding another 109 points profit since our last update at the start of March. That means they are now 169 points up for the trial overall. As we have said before, their average stake is around 8 points per bet, so it is the equivalent of being around 21 points up to 1 point level stakes, which is still very good going. With just over a month left in the trial, this is looking like being one of the best football trials we have run for a while. There’s been a small decline for football tipster Fiesta Football since our last update, with 17 points lost in that time. But they are still well up for the trial overall, being 60 points up in fact. As we have said before, their average stake is around 8 points per bet, so it is the equivalent of being around 7.5 points up to 1 point level stakes. That is still good going though in football betting. Let’s hope the recent drop in the results was just a blip and they will be back to form shortly. It’s been a good start to our trial of football tipster Fiesta Football, which is 77 points up so far to advised prices. The stakes are all 10 points per bet, so it’s the equivalent of 7.7 points up to 1 point level stakes. That is still very good going and hopefully they can maintain that kind of return in the long run. Bets come across the European leagues and there are quite a few doubles and trebles. Anyway, looking good so far for Fiesta Football. Having recently started a trial of a new tipster from the Tipstrr platform, we thought it would be a good time to start another one. This time we are looking at a football tipster and the service in question is called Fiesta Football. The service has been running since July last year and we are impressed by the level of consistency it has achieved so far. Overall they have made 660 points profit, which has been achieved with a return on investment of 10%, a very good level for football betting. The strike rate is also good, with a winning ratio of 53%, meaning more than half of bets have been winners so far and that means losing streaks haven’t been too bad either. Bets tend to be sent out well before the matches, in fact a full day or two according to the figures on the Tipstrr website. Most of the tips are in the top European leagues and in the English leagues so there shouldn’t be too many problems in terms of liquidity and getting prices. There are a variety in bets types, but mainly the markets used are match winner and both teams to score markets, with doubles and trebles quite frequently utilised. The sign-up costs are £10/week or £19/month, which is very reasonable considering the results achieved to date. We like the look of the service overall so have decided to give it a try and submit Fiesta Football to a three month trial here on the site. We will update results regularly on this page as per usual so you can see how it is getting on. In the meantime you can check out Fiesta Football here.